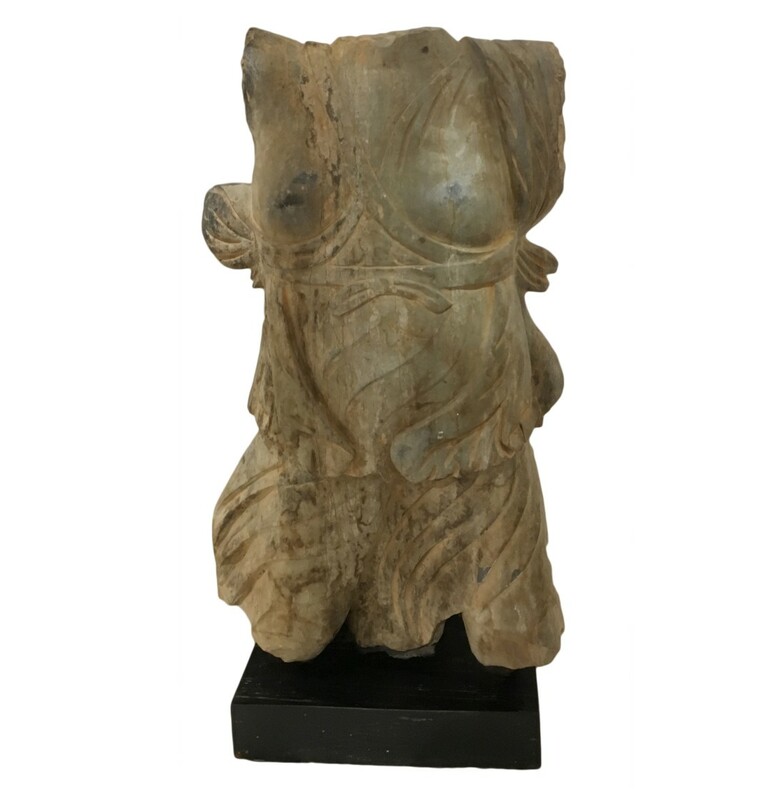 Carved stone torso of a female mounted on a wooden base. Circa 1770. Syrian or Indian.